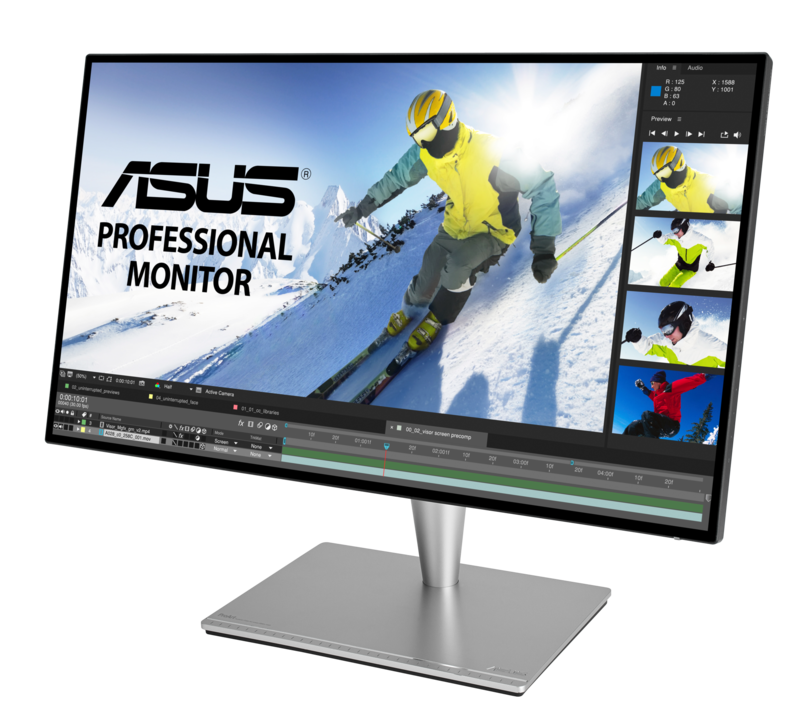 ASUS ProArt™ PA27AC is Worldwide 1st 27-inch HDR400 with Thunderbolt™ 3 professional monitor. It features WQHD IPS panel with a 4-side frameless design and a wide 100% of sRGB color gamut. Up to 400 nits of brightness and HDR-10 provide lifelike experience. PA27AC features Thunderbolt™ 3 USB-C ports supports data transfers at up to 40 Gbps, DisplayPort and also support 45W power delivery. Advanced ProArt™ calibration technology and factory pre-calibrated to ensures the color accuracy (∆E < 2). With Windows- and Mac OS-certified, PA27AC is ideal for graphic designers, photographers, or anyone looking for high color accuracy.